I occasionally run, occasionally lift weights, but I always do yoga. Periodic, sometimes avid exerciser, sometimes more of a couch potato. Yoga is always with me. 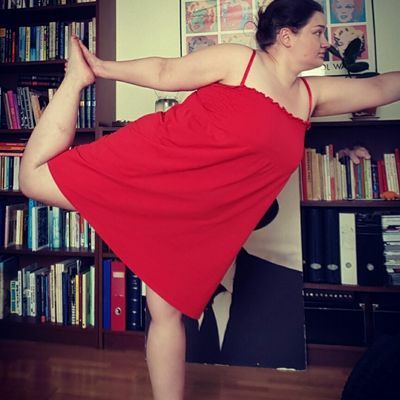 Other exercises I enjoy are running, walking, nordic walking (yeah I'm from Finland, the land of saunas and walking with ski poles) and weightlifting. .
Hey friends, just wanted to let you know I'm still alive and doing my yoga. I want to get into a healthier lifestyle but at the moment (well, the past year really) all my energy is going towards trying to keep my life together. Hope you're all well, hugs! Committing myself to five minutes of working out (weight training/cardio) five times this week. Daily Yoga: Seated Yoga Routine I.